With the news of Willo’s, our Editor’s, death also comes the arrival of the latest issue of Enduro. This makes it kind of a strange one to hold and to read. An Ed Note invites us to reflect on the changes to the sport and the publication over the 12 issues he’s been at its head. He was stepping back from the role to concentrate more on racing. It’s pretty amazing to read with this reflection in mind, and it stands out just how much things have developed in this time, and what a strong publication it has become. There are several long features on breath-taking riding adventures Willo experienced over the last few months which made me laugh out loud at some of his descriptions. 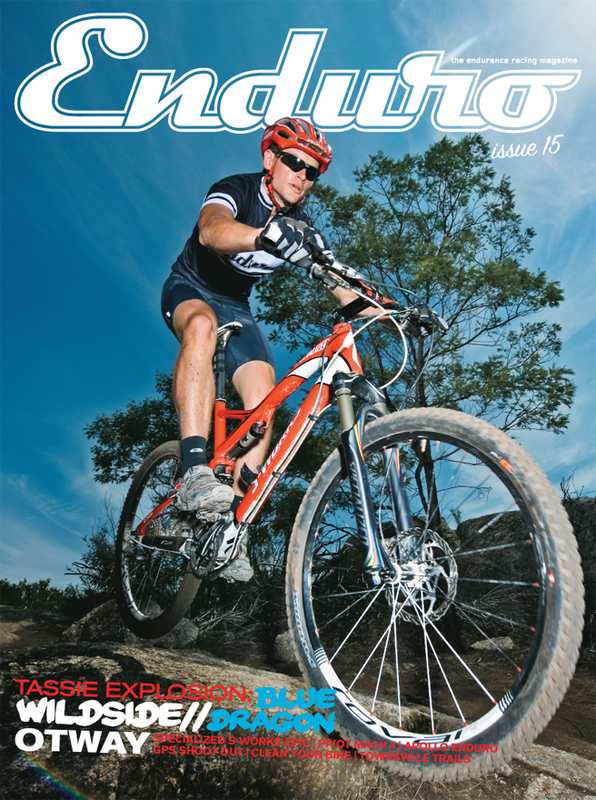 There is also a tonne of other articles and reviews reflecting how big and diverse the Enduro scene has become. The story I enjoyed writing most this issue was one discussing the recovery process, post 24 hour solo racing. I wrote it in the hope it might stop a couple of riders from burning out before the Solo Worlds hit Canberra later this year and because I like to read other writing that moves away from event recaps and product reviews and challenges us to really think about the broader experience of the sport. I hope you enjoy the read as well. I headed to my local newsagent yesterday when it came out (there’s always something satisfying about seeing it on the stand), and was surprised to see there were only two copies left. You better get down there quick!